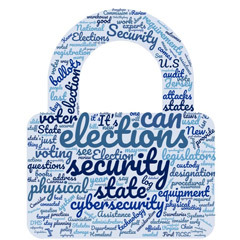 For important elections, you need to make sure that your online election provider has high security. With the recent news about the hacking of U.S. politicians and elections, you can't be too paranoid. We recently decided to do a security review, and we'd like to share our results with you. In addition, we also did a security review for a few of our competitors. There are websites that perform automatic checks of other websites to make sure they are using recommended security practices. Below, we created a table that shows the results from two of these websites for OpaVote and some of our competitors. In the table below, "A" is the highest score and "F" is the lowest score. Use the links in the table to verify the results yourself. For the Mozilla test, we are working on improving our B+ to an A, but it is a demanding test. Even Gmail gets a "B" for that one. What is crazy is that Simply Voting and Elections Online are 10 times more expensive than OpaVote, yet have bad security practices. If you need high security for your election, then OpaVote is clearly your best choice.